Barbara Klemm is considered the most important photographic chronicler of the old Federal Republic Germany. Barbara Klemm worked as a photojournalist for the Frankfurter Allgemeine Zeitung (FAZ) for over 40 years. She was there when major political events took place. Her photographs illuminate German contemporary history. Among them are key events of rapprochement between East and West. 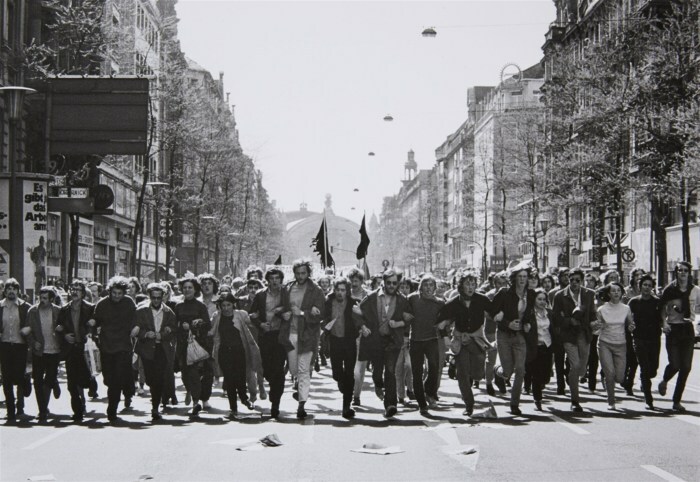 Today, Barbara Klemm’s photographs are regarded as icons of German history of the 20th century. They adhere to the public memory and shape our picture of the time before and until the reunification of the two German states. Barbara Klemm’s photography is photojournalism and photographic art in one. Her photos follow artistic design principles of painting. Her photographs document everyday life and people in times and living spaces that are no longer so today. To this day, Barbara Klemm takes photos exclusively with the analogue camera. Her films are black and white. “That’s color enough,” she says. She even abstains from using flash. Klemm interest has always been in people. Be it demonstrations, protests or public places – her focus has always been on what is called social reality. She did portraits of famous people from the art and music scene, such as Mick Jagger or Joseph Beuys. In doing so, she took care to expose the protagonists in their usual environment and without any photographic staging. People and social reality are what interests her. The exhibition “Hell-Dunkel” (light – dark) is a reference to her work in the former FRG and GDR. She photographed in both western and eastern Germany, thus documenting the path to the reunification of Germany. In cooperation with the ifa, the Goethe Institut presents selected works whose entirety not only reflects a life’s work, but also the visualized form of German history.